3rd Annual Creative Mountain Retreat Dates Announced! Ginger Ropp (AKA "My Sister's Scrapper) and I are already making plans for our 3rd Annual Creative Mountain Retreat in Hendersonville, North Carolina in the Fall of 2019! We've secured the entire Echo Mountain Inn once again and have picked the dates. Friday, September 27 through Tuesday, October 1. You can find pricing and all other details at our Retreat Blog. We can only accept 30 crafters, so this event fills up rather quickly. Registration will begin January 15th starting at 7 p.m. No reservations will be taken before than time. Once you've taken a look at the Retreat Blog, if you have any further questions, just let me know. Meanwhile, I wish you a heartfelt Merry Christmas and a very Happy New Year! Hello and Happy Holidays everyone! 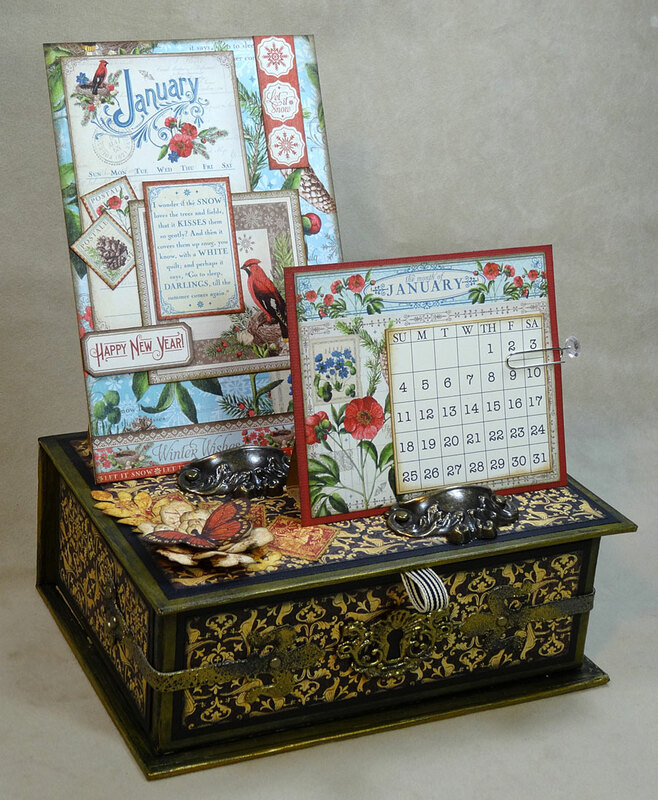 I've updated and uploaded the mini desktop calendars for you which are now available to download FREE. Simply click the link, put your favorite paper or cardstock in your printer, and print. There are two pages to get all 12 months so be sure to click both links below. These are sized for the Time to Flourish Desktop Calendar I designed years ago, but of course you can use these for any purpose at all so please enjoy however you wish. 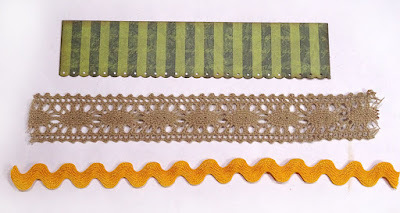 If you're interested in making the whole project, I've got a YouTube tutorial here. But note: there is a measurement correction in the Description section below the video, so be sure to read that before you begin. Enjoy! 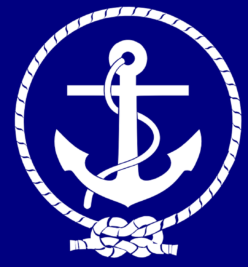 My crafting cruise to Bermuda isn't until June, but I've already created the class projects and I'm ready to share! Here's a quick video of what I have planned. After you've watched, grab a friend and register to join me on this fun-filled crafting cruise! It's November. 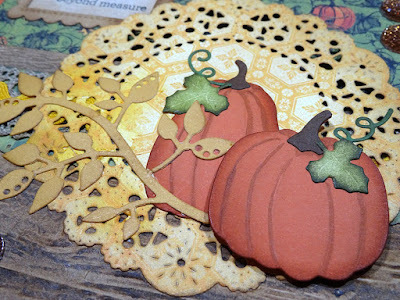 Time for Fall cards! 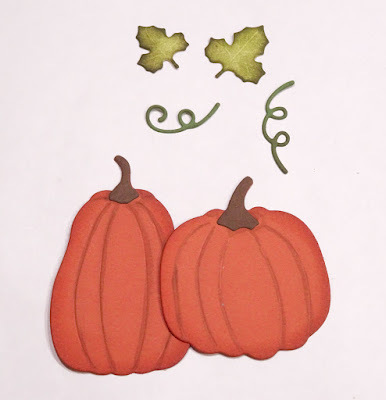 Hello and happy first day of November! I love Fall (although it's still hot and humid here in Florida) and always think of our visits to New Hampshire during this time; wearing sweaters, crunching leaves underfoot, and seeing pumpkins on front steps. Some day, my friends, I swear I'm gonna relocate someplace where I can once again enjoy a cool, crisp Fall season. 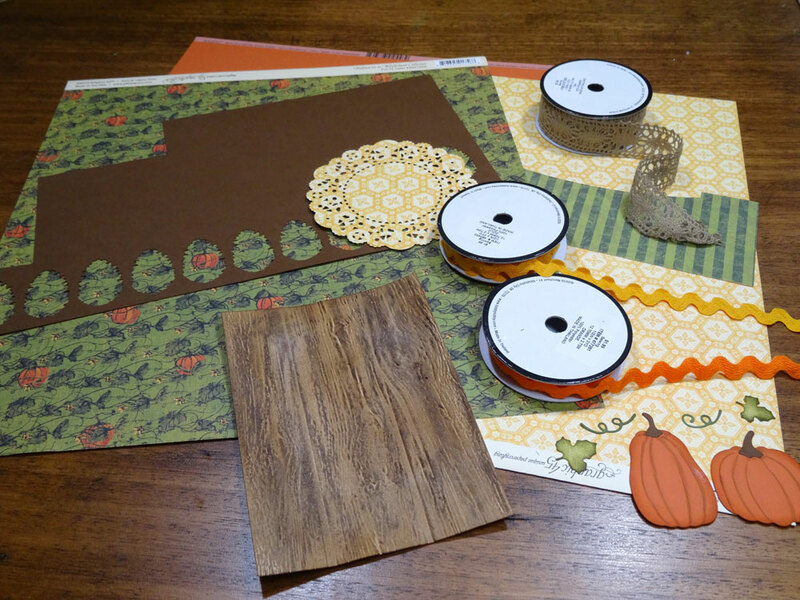 Meanwhile, I will continue to design and create Fall-themed projects here in the confines of my air-conditioned craft room. 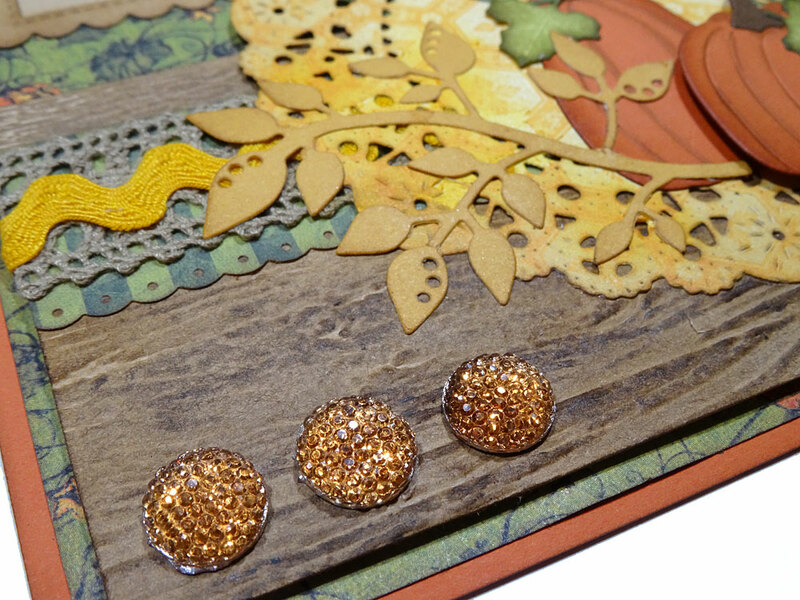 Today I'm sharing a simple, yet pretty Fall card utilizing different Graphic 45 collections, textures, and die-cuts. Here's a look at how it came together. Like many of you, I keep a collection of card sketches. This makes it easy and quick to start a card. I don't always follow the sketch to the letter, but rather use it as a starting point for the basic layout, then play with my elements as I go along. Gather your materials. 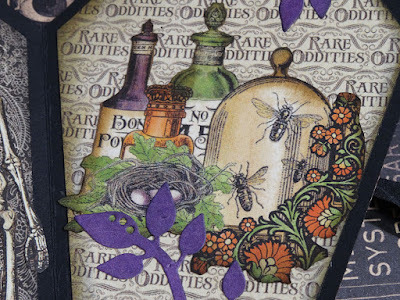 I chose this pumpkin page ("Don't Be Late," B-side) from Graphic 45's Halloween in Wonderland collection and the golden honeycomb pattern ("Harmonious Honeybees" B-side) from Nature's Sketchbook, finally the green striped paper is a scrap from Portrait of a Lady. I lay out ribbons and cardstock I think I'll use, but sometimes not everything makes the cut. For now, it's just about gathering. 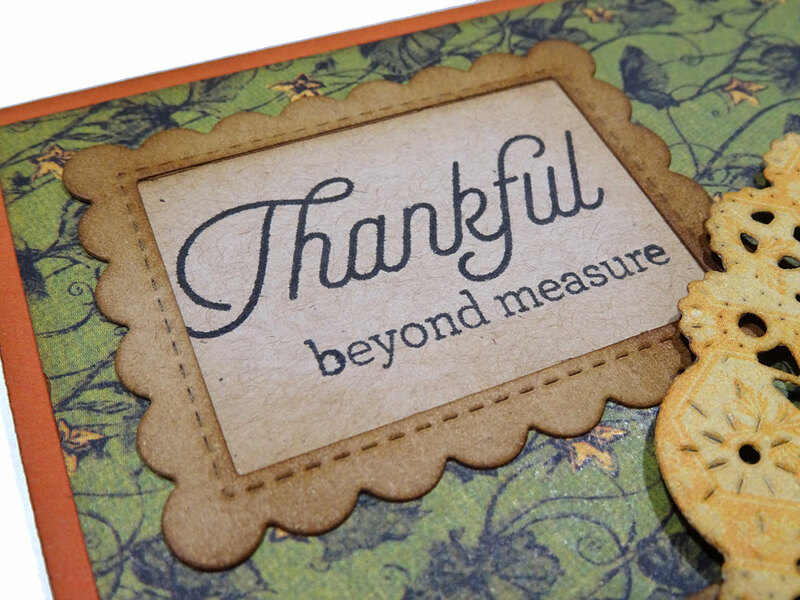 Texture is an important part of any of my creations, and I'm currently in love with this "3D" woodgrain texture folder called "Lumber" from Sizzix. I embossed tan cardstock (on the left) then scribbled Gathered Twigs Distress Crayon on the raised surface, spritzed it with water and rubbed with my finger. 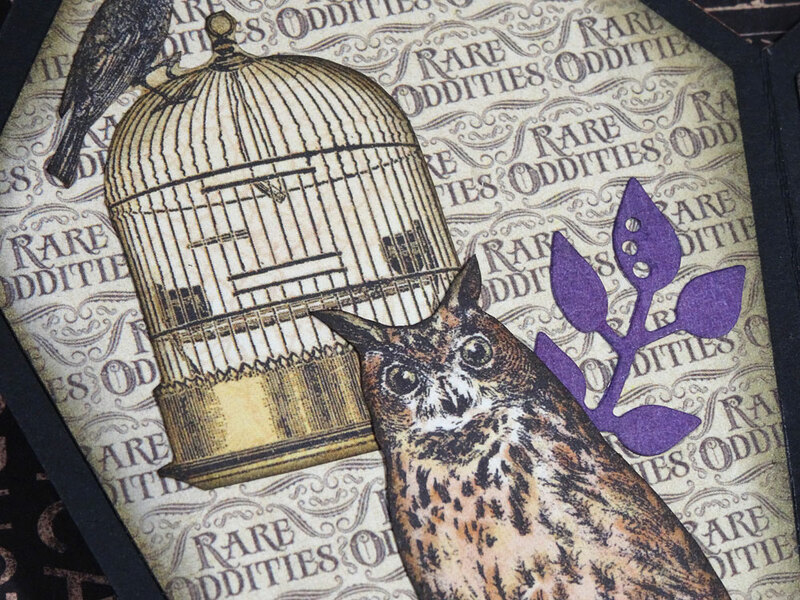 Once dry, I blended Vintage Photo Distress Ink over the entire surface. I love the real wood result! 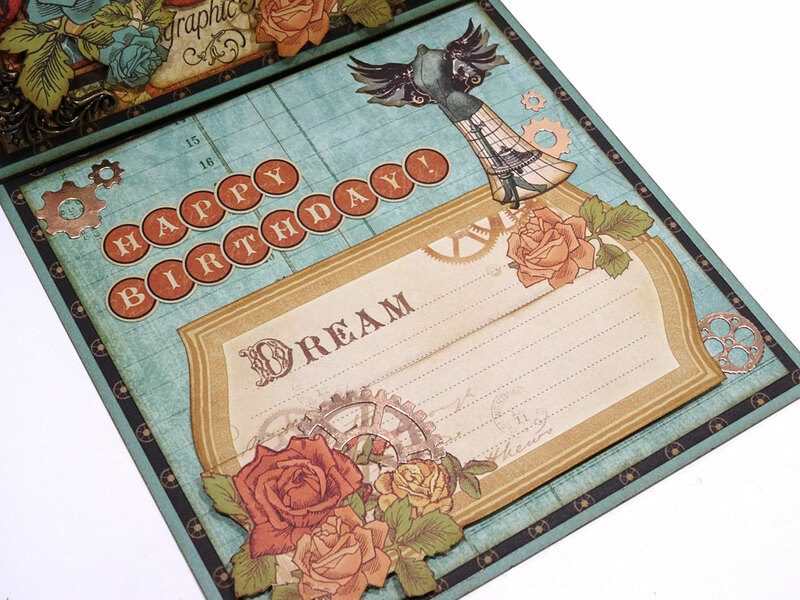 My card is 6" x 6" so I cut the green striped paper to 5 1/2" by 1 1/2" and used a decorative punch along one long edge. 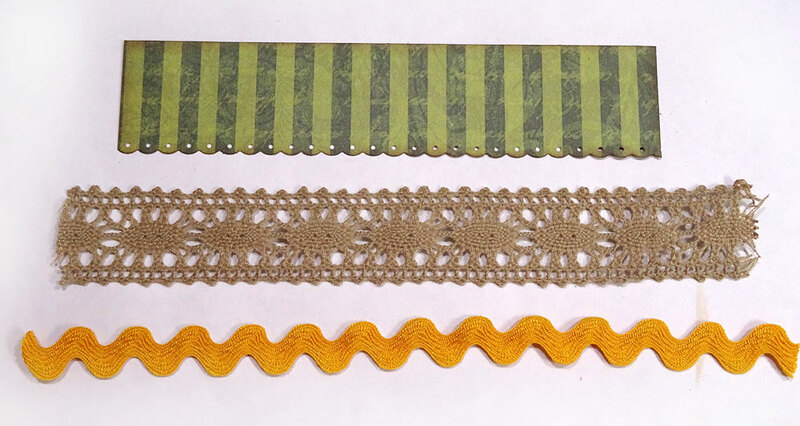 I decided on the tan lace and the gold ric-rac ribbon, which I found at Hobby Lobby. 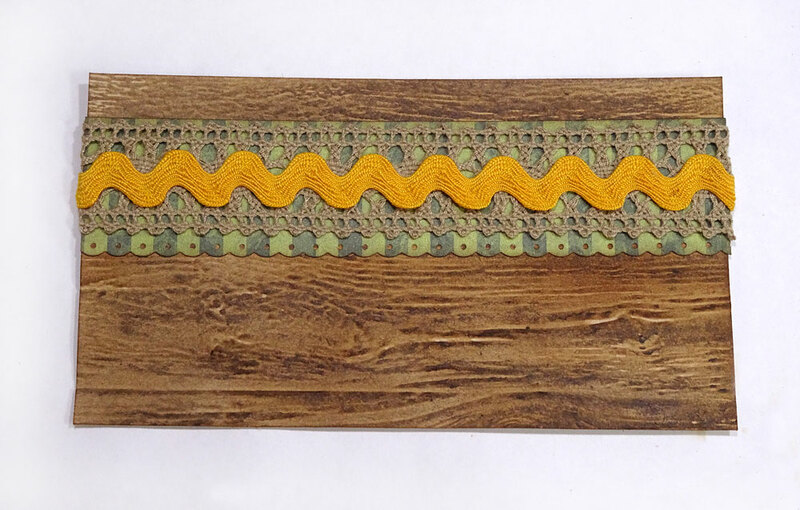 Cut the woodgrain piece to 5 1/2" x 3" then adhere the elements as shown, wrapping the excess ribbon around the back. I find this to look much neater than cutting the ribbon on the edges. By folding the bulky ribbons around the back, it does create an uneven unit, so I grab some scrap pieces of thin cardboard and adhere them to the back as shown, avoiding the ribbon areas which are already dimensional enough. Foam tape could be used here, but I find it rather thick for this layer. 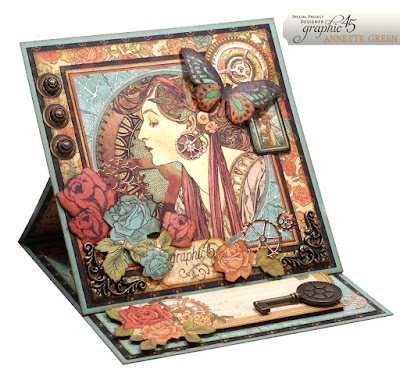 Cut orange cardstock to make a 6" x 6" card base. Mine is tent-style, but make yours book-style if you like. 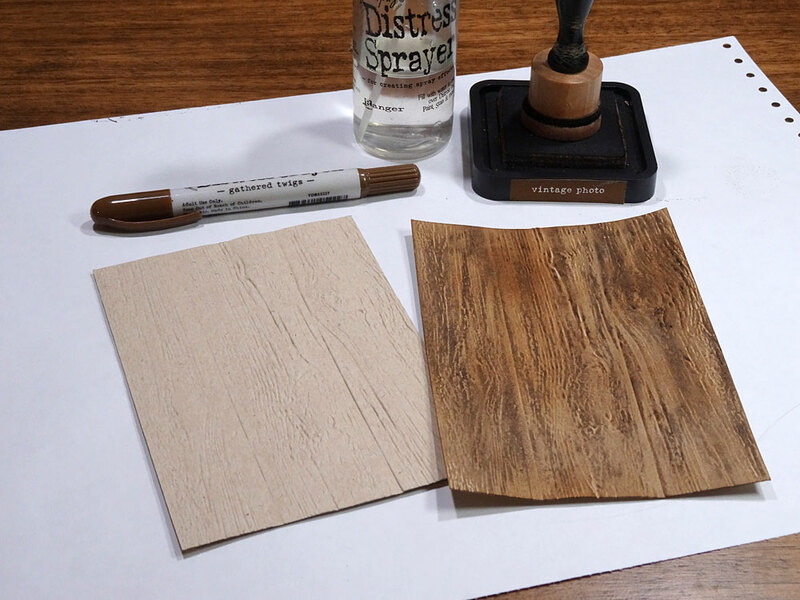 Adhere a 5 3/4" x 5 3/4" square of the pumpkin paper, then the woodgrain unit as shown. I stamped my sentiment, then placed in inside the cute die-cut frame (Mini Picture Frames by Lawn Fawn). The stamp set is an old Stamp of the Month set from Close To My Heart. 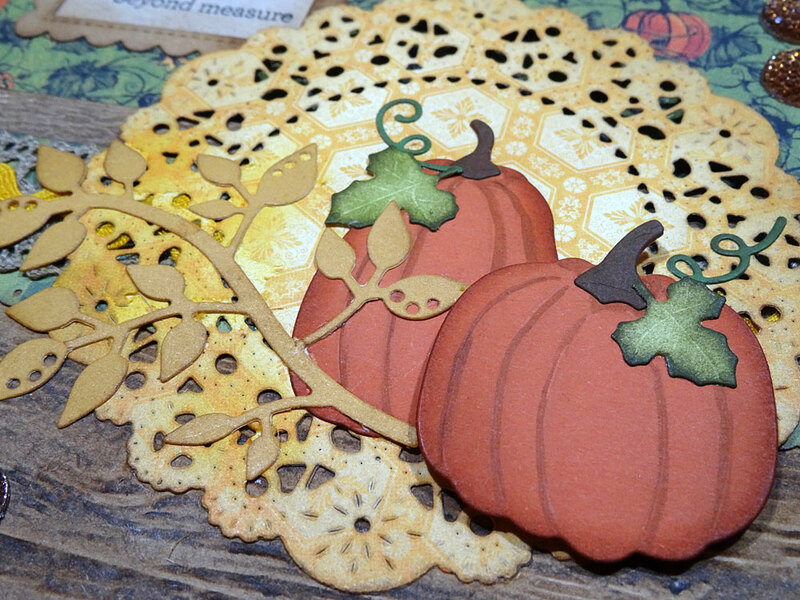 Die cut the pumpkins, stems, vines and leaves. 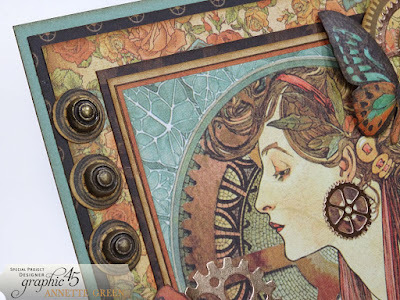 This die is called "Pumpkins" from Elizabeth Craft Designs. There are many Cricut files you can use too. Die-cut a doily or simply use an existing paper doily and add some color with inks. I've used my favorite French Pastry Doily die by Cheery Lynn Designs. 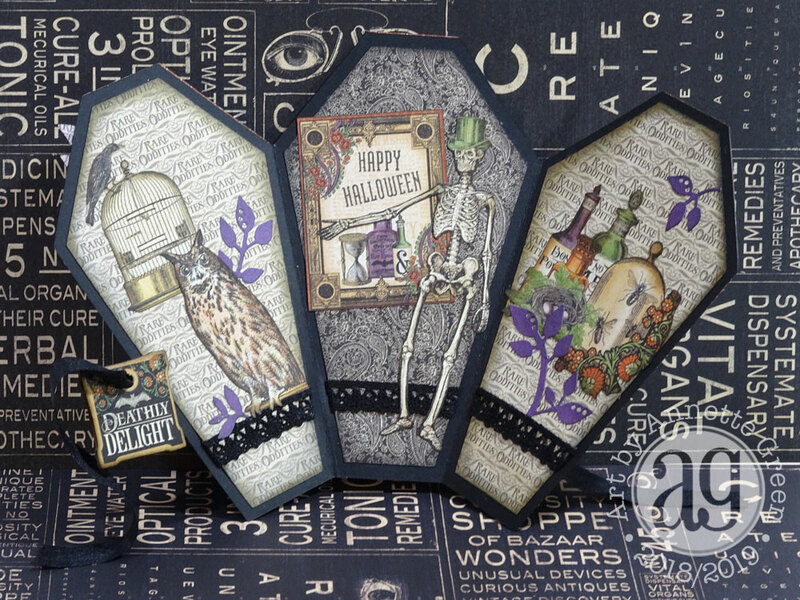 Add the pumpkins next, popping up the front one with foam tape for dimension. After adhering the vines and leaves to my pumpkins, I added a die-cut leaf stem using Graphic 45's Tags and Flowers die. 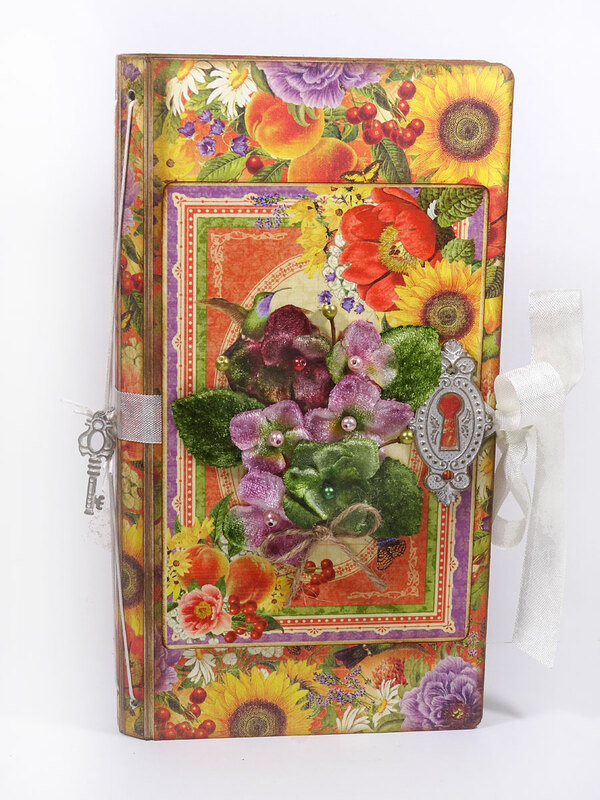 For a finishing touch, I added sparkly gems to the lower left and upper right corners. Not difficult, very pretty, and fun to make. Let's kick off November with Fall crafts! Make sure you share your creations on social media for all of us to enjoy. I love following all of you, too. Thanks for stopping in. Happy November! Happy Hump-day everyone! I've compiled all the photos and clips from our 2nd Annual Creative Mountain Retreat into a short re-cap video. 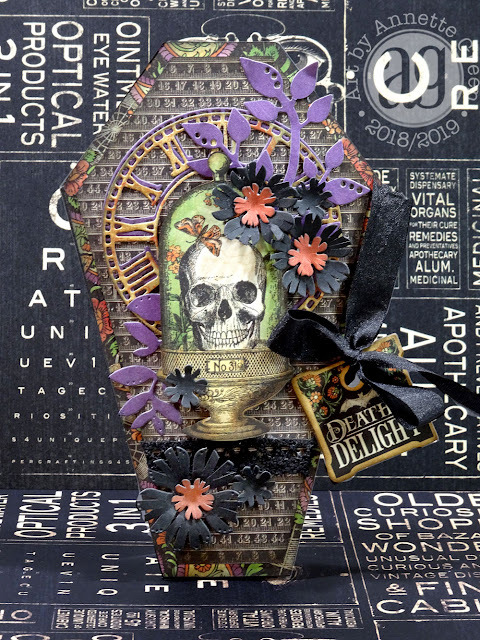 If you'd like to see all the classes we taught (and by "we" I mean myself and Ginger Ropp, AKA My Sisters Scrapper) as well as the fun we had, be sure to check it out below. Our retreat was held the last weekend in September at the Echo Mountain Inn in Hendersonville, North Carolina. 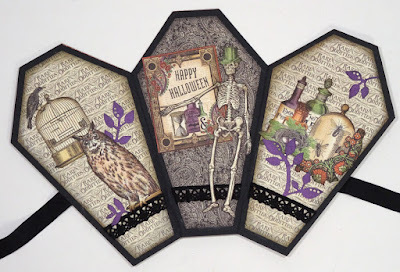 We took over the entire Inn for this event with 30 crafters who enjoyed six classes, plenty of down time for relaxation, fabulous catered meals, prize drawings galore, and most importantly, friendship and fun. We are making final plans for our 3rd retreat now and will announce in November. Registrations will begin in January 2019. If you don't want to miss that announcement, be sure to subscribe to mine or Ginger's (or both!) blog. Same place, same time frame, same amount of slots. Die cut some leaves and two clocks using Graphic 45 dies. 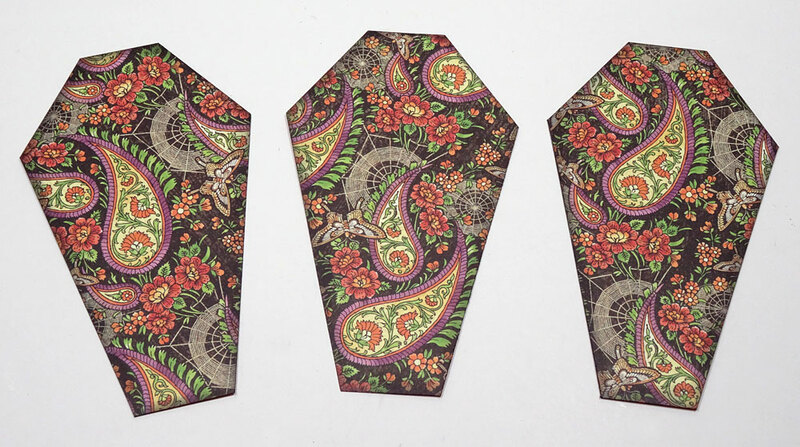 I cut these from Rare Oddities Patterns and Solids papers in purples and orange. 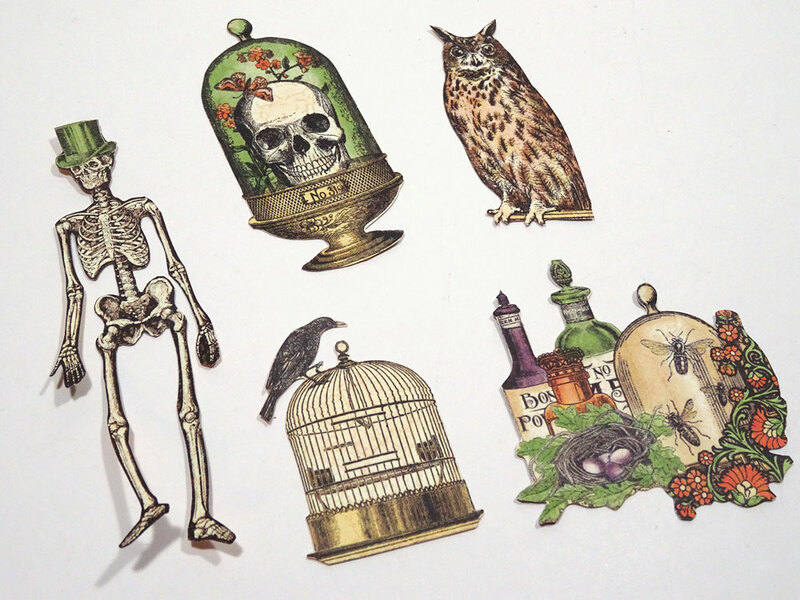 Fussy cut some goodies from Rare Oddities 12 x 12 papers. 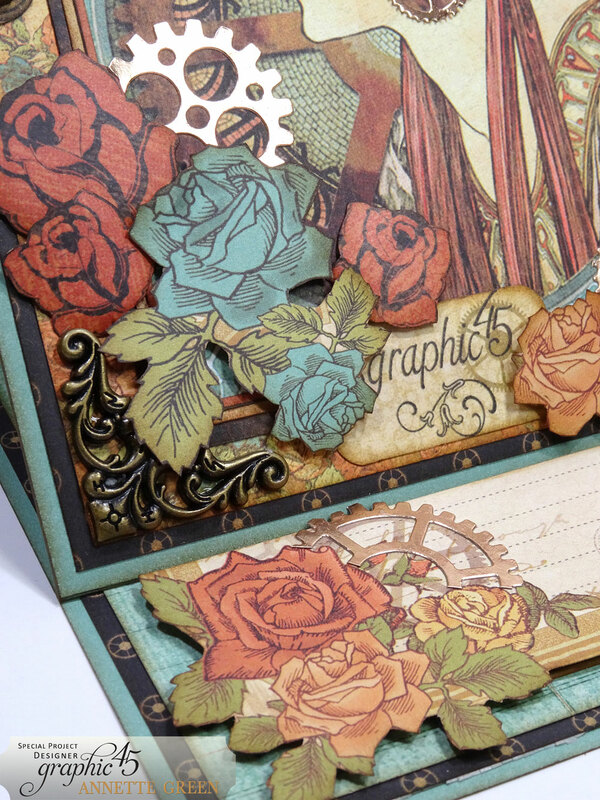 Die cut various medium and small flowers using Graphic 45 dies. 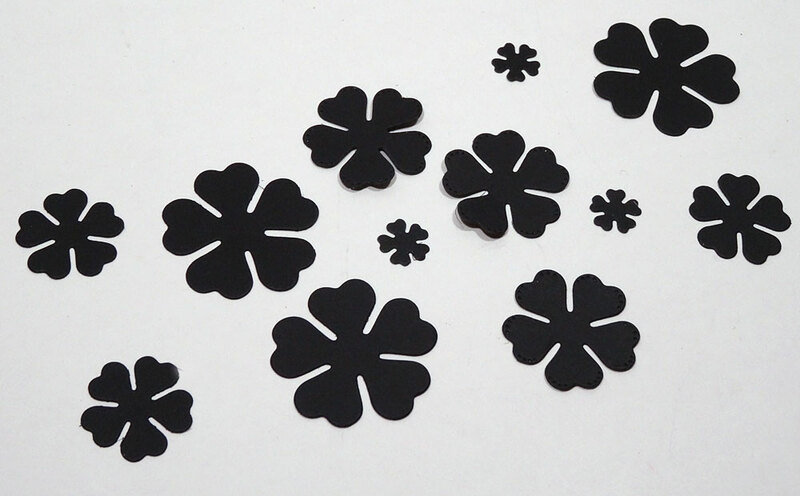 I cut from black cardstock. 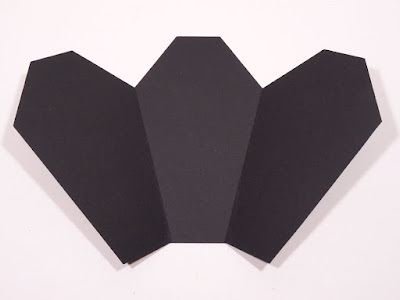 Create a tri-fold card base with black cardstock in the shape of a coffin. 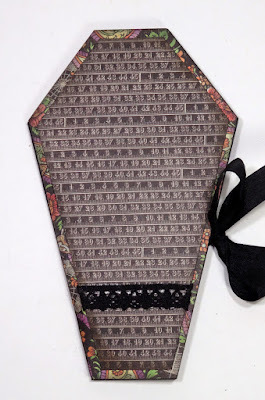 I achieved this on my Cricut machine, but you can make your own template of a coffin and trace it instead. Make sure to trim a little off the right hand panel so it will fold inside neatly. My card is 6" tall. 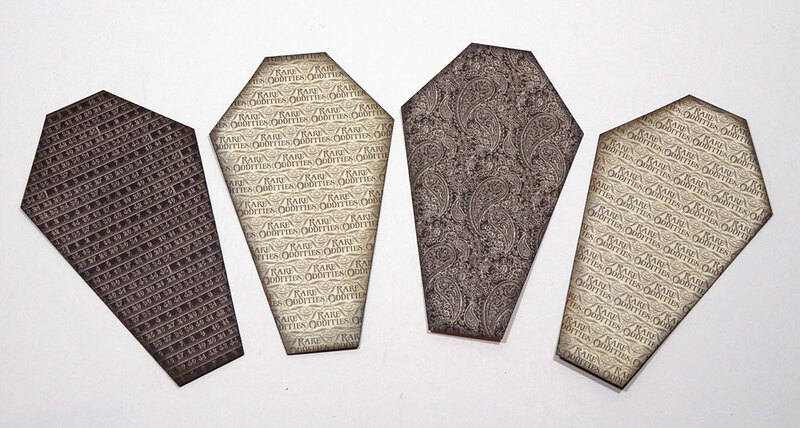 Cut three coffins the same size as your panels from pattern paper. I used "Charmed, I'm Sure" from 12 x 12 Rare Oddities and inked the edges with black ink. 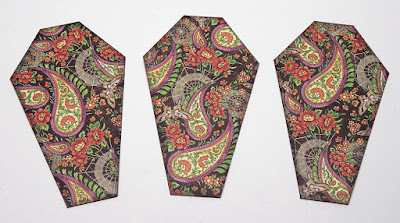 From the Patterns and Solids, cut four coffins slightly smaller than your coffin template. 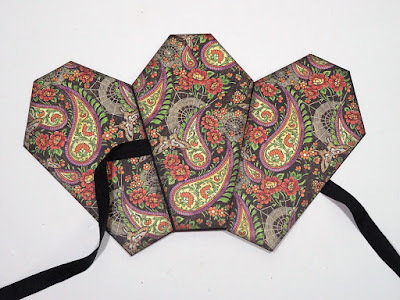 Open out the card base flat and adhere two pieces of 8" ribbon; one to the front panel and one to the left edge of the center panel. 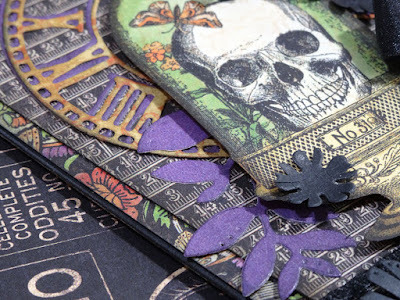 Adhere the papers to the card base. Flip to the inside. 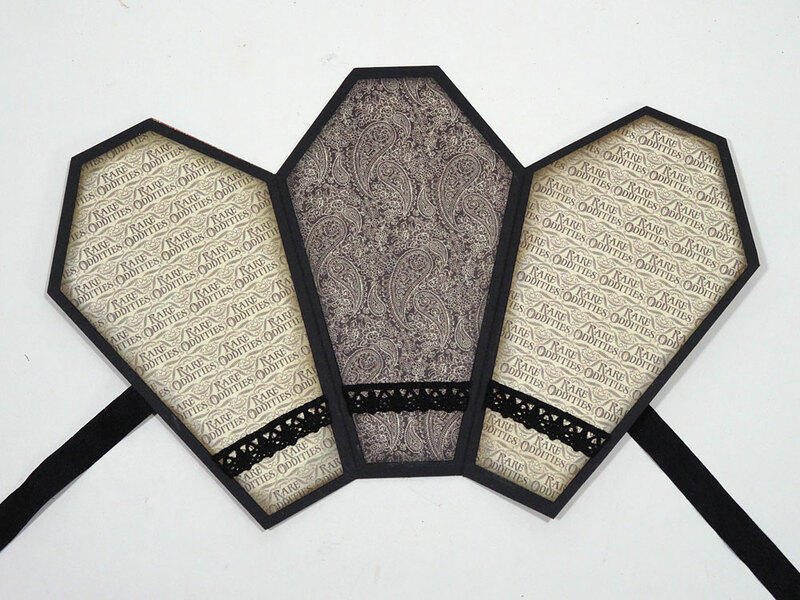 Adhere black lace across three coffin papers then adhere in place. 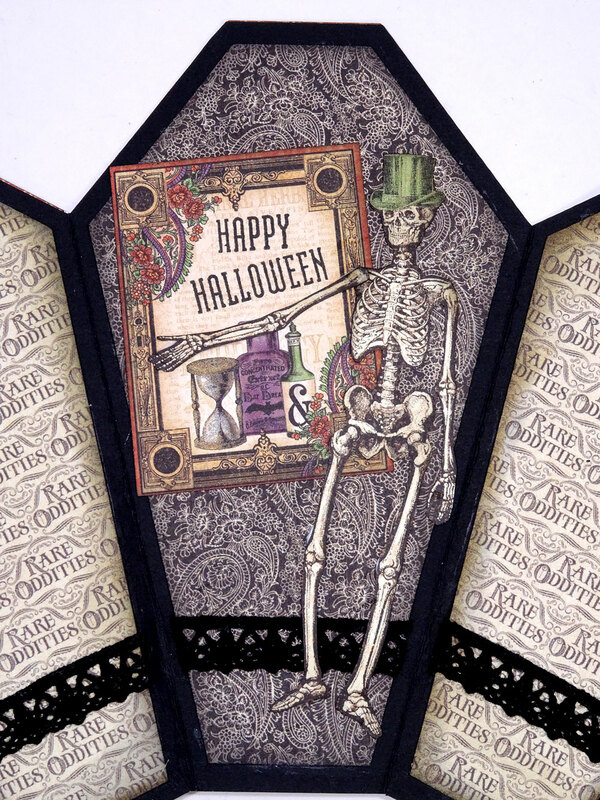 Cut apart the journaling card from the Rare Oddities 8" x 8" collection and stamp Happy Halloween. My stamp is from the "Just to Say" set from Close To My Heart. To make the skeleton's arm reach out like I did, cut at the shoulder joint, then reattach in the new position. Adhere fussy cuts and leaves as desired to the outer panels. Fold in the right hand panel and adorn as desired. 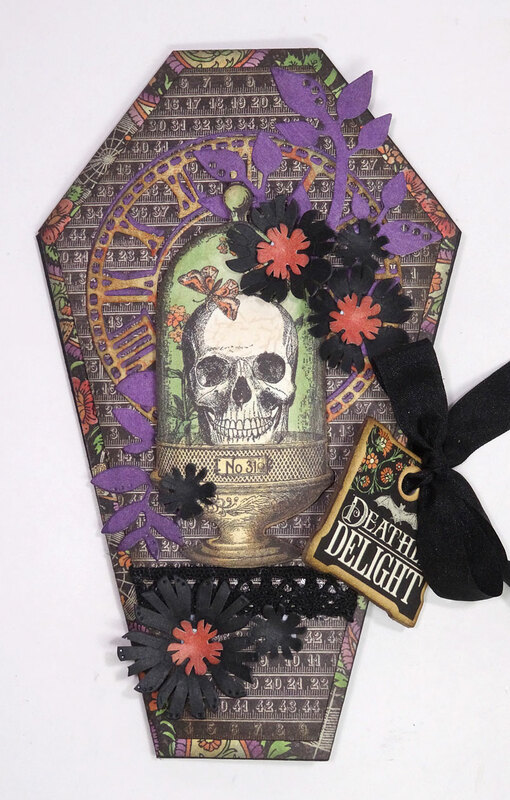 I cut apart this piece from one of the ephemera cards, then used a punch for the bats. Attach the last coffin paper to the front of the card, after adhering black lace. 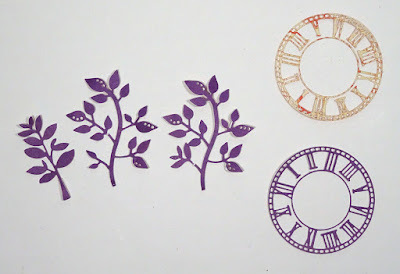 Layer the die cut clocks, slightly offset from one another, then leaves and fussy cuts. 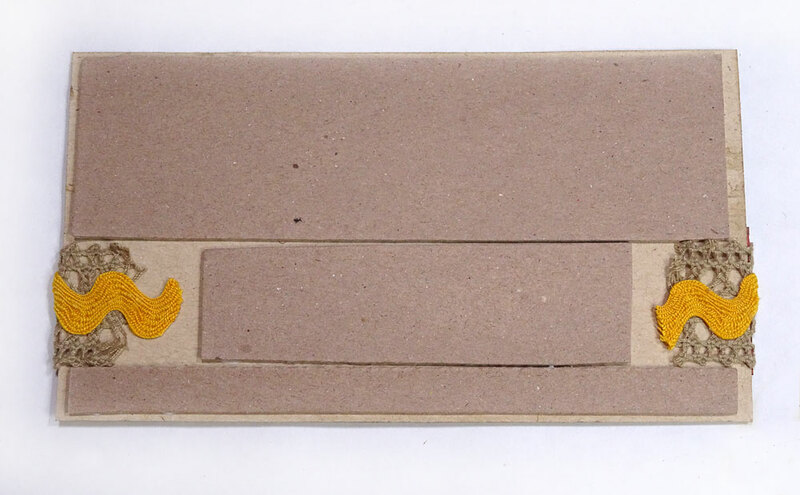 I slipped a chipboard tag onto my ribbon closure, too. 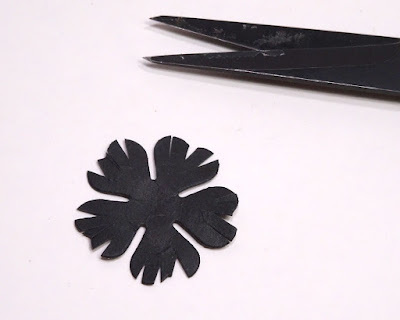 To make those black flowers a little creepy-looking, snip some rough cuts into the petals. 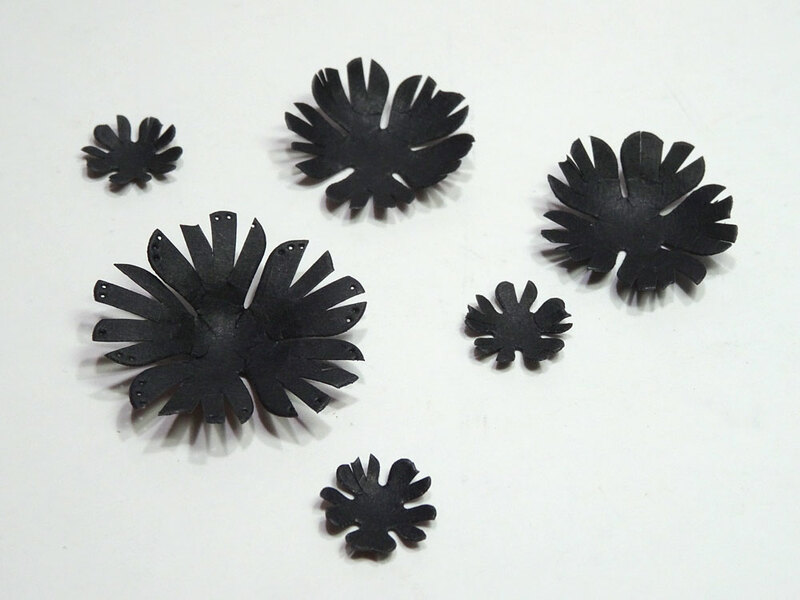 Cup and shape the flowers to added dimension using a large ball stylus on a soft mat. Adhere flowers to card front. I added a few orange flowers as well for a pop of color. 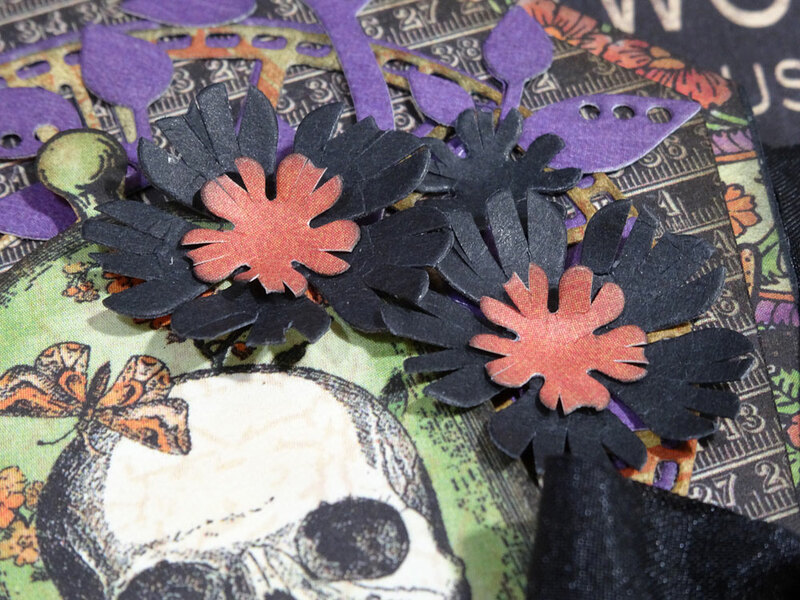 Here are a few close-ups of the details below. I hope you enjoyed this post and join the Graphic 45 "Dark Side" Challenge with me. If you do, make sure to use the hashtag #G45DarkSide. 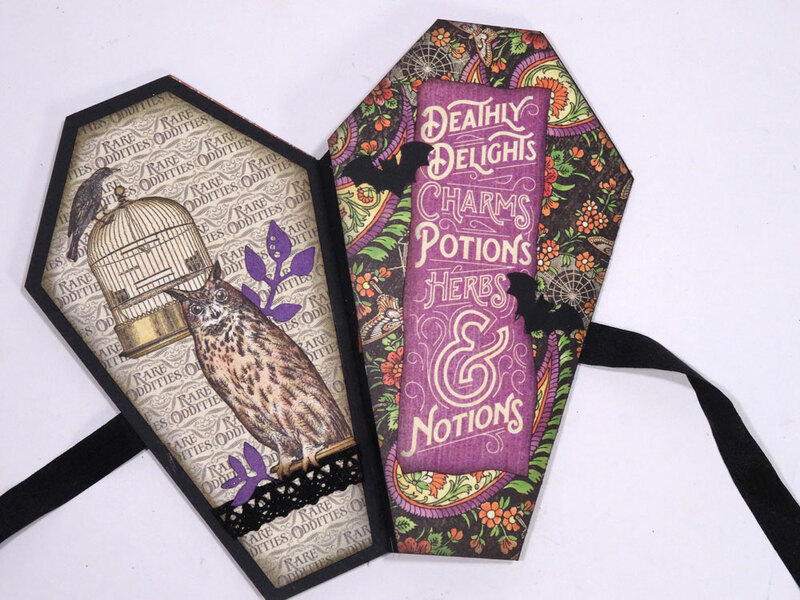 You could be the randomly-drawn prize winner! Thanks for stopping by. 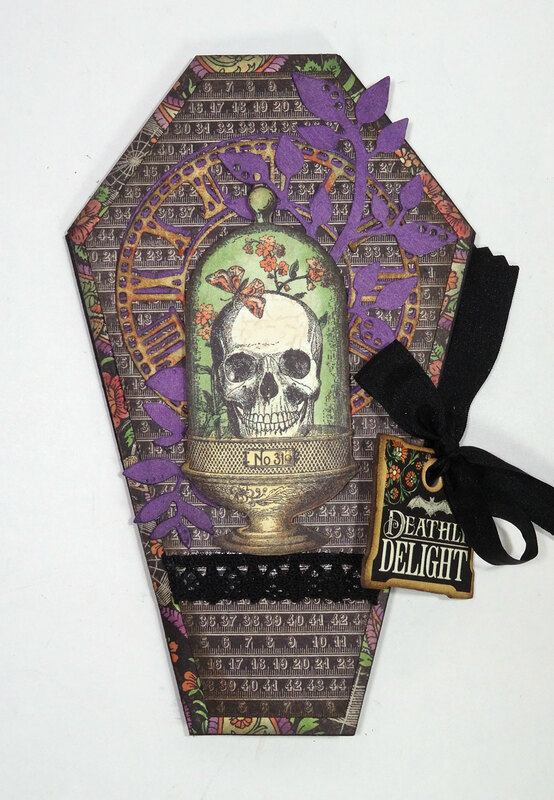 Holiday Workshop Projects and Video Peek! It's a fun-filled day of Christmas crafting right here in Melbourne, Florida. 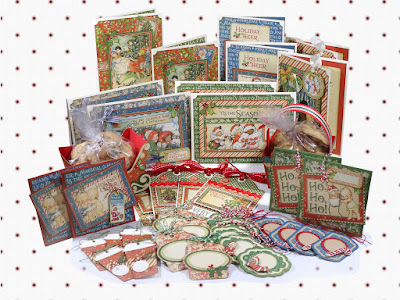 Together we create lots of cards, tags, gift card holders, treat boxes and the day includes lunch, games, prizes, holiday music and treats! It's my favorite time of year to reconnect with my local friends, and those who travel to come join me in this festive workshop. Here are all the details below and how to sign up. And of course there will be games, PRIZES, water, coffee and snacks throughout the day. Lunch is included and details for your lunch selection will come after I get all registrations. • Early-Bird sign-up (signing up before you see the project photos) 10 Tickets! • Sign-up after September 3rd, after seeing photos. 3 Tickets! 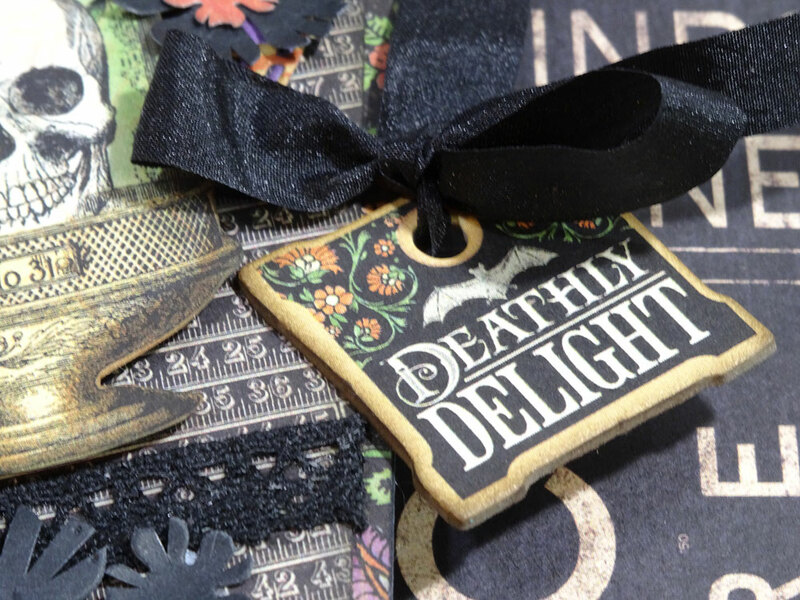 • Bring a friend who has never been to my Holiday Workshop. 5 Tickets! • Brand new attendee to my Holiday Workshop? 10 Tickets! • Travel more than 20 miles to attend. 5 tickets! • Wear holiday attire (shirt, sweater, hat, whatever) 3 Tickets! There are several affordable hotels near the community center right off I-95. Address of the community center is above. 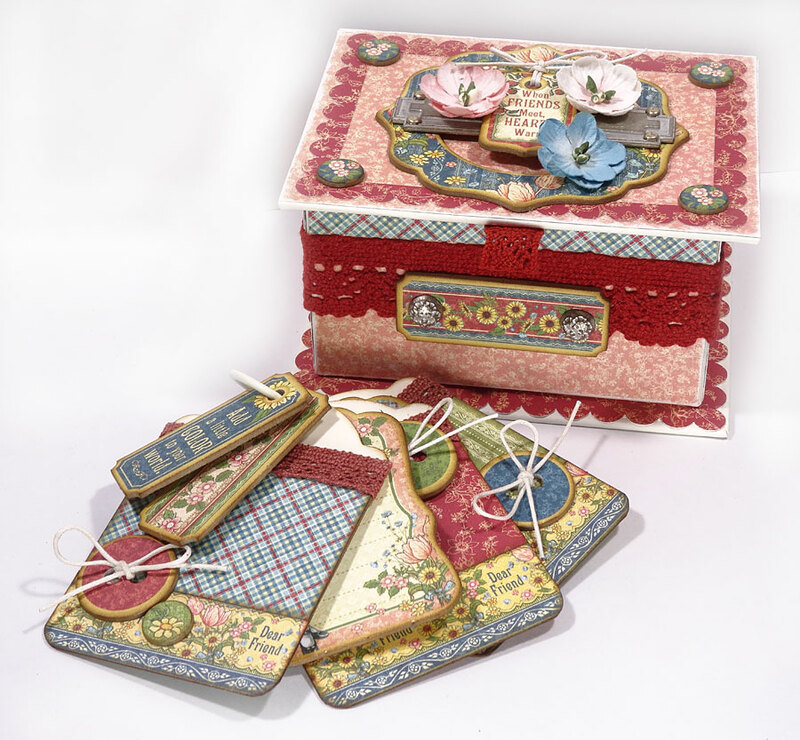 For those who can't attend and would like to be placed on the Wish List for a kit, simply RSVP specifying this by e-mailing me at AnnetteGreen@bellsouth.net. Please know that I am making up no more than 50 this year, so if the attendees don't meet this number, the remainder will be made available as kits. Kit pricing is $105 (free shipping to the contiguous United States) and will include directions and all the pre-cut materials. I'll contact those on the Wish List on October 31 if there are kits available, at which time I will collect payment. I have 27 signed up but there's still room for you. RSVP now to sign up! This is a popular event, so don't delay! Payments secure your spot (first come, first served) and can be made via PayPal to AnnetteGreen@bellsouth.net using Friends and Family please. Local friends can mail me a check if you prefer. Deadline to RSVP is October 15. If you have any questions, please let me know. I'd love to see you there. 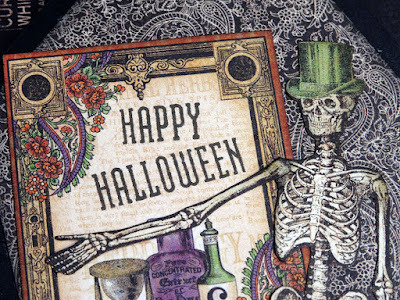 Every year we have a great time! Dig out your favorite Graphic 45 paper collection and get ready to make an easel card! This one was made especially for Diane Schultz, Designer and CEO at Graphic 45, also affectionately referred to as "Mom" since she is mother to Charee, Aimee and Jeff Filimoehala at Graphic 45. 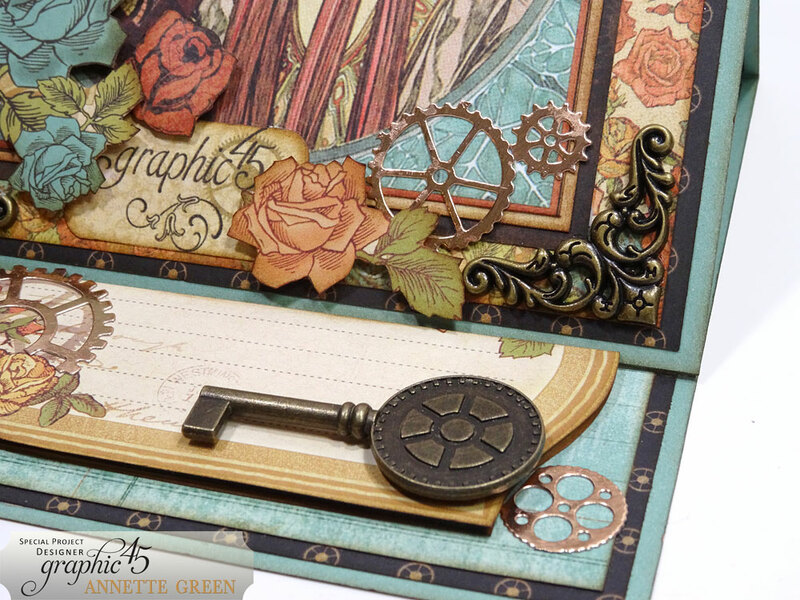 I'm sharing a tutorial for this pretty Steampunk Debutante card on the Graphic 45 blog today in honor of Diane's birthday. (I was told she holds a special fondness for this collection.) I hope you hop over and take a look, then leave a comment there to wish Diane a Happy Birthday. 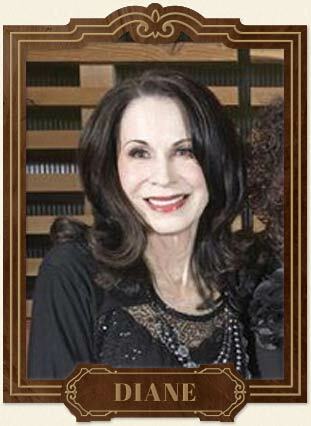 If you've ever met Diane in person, whether at a show or on a Graphic 45 cruise or class, you know that she is not only beautiful, but sweet and kind and personable. She always has a smile and takes a moment to get to know you. I always look forward to seeing her and spending a little time with her when I attend Creativation in January each year. I truly feel like I'm part of the family. Here's a few peeks below. 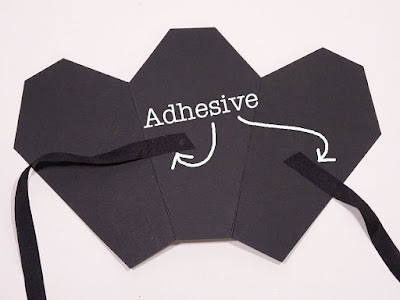 Find out how to make it here along with some tips and tricks. Cruise With Me in 2019! 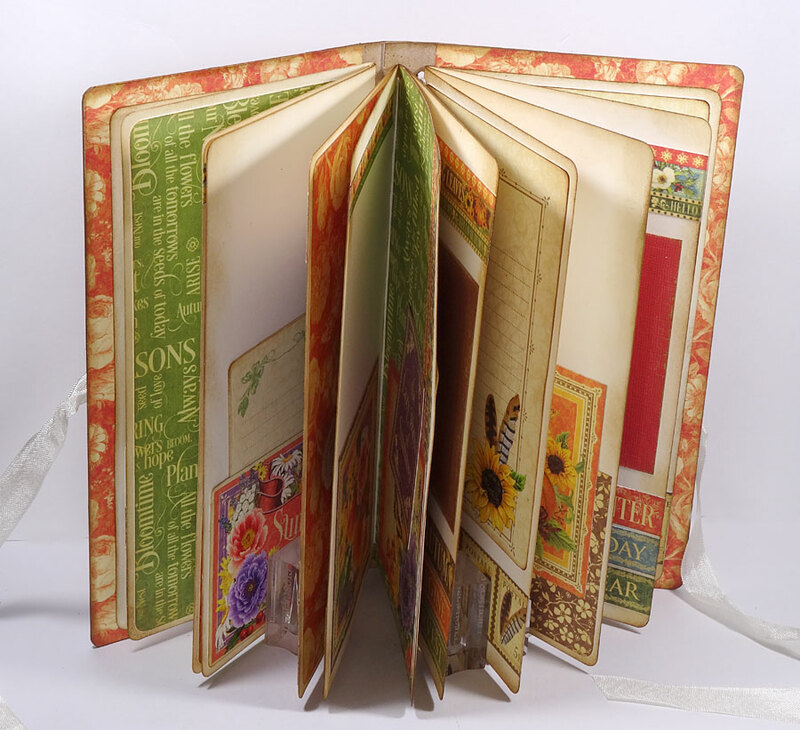 I have several major events already on the books for 2019, thus I will be putting my scrapbook store teaching tour on hold until 2020. Three big events already scheduled are my Crafters Therapy Cruise, Creative Mountain Retreat, and my 13th Annual Holiday Workshop. 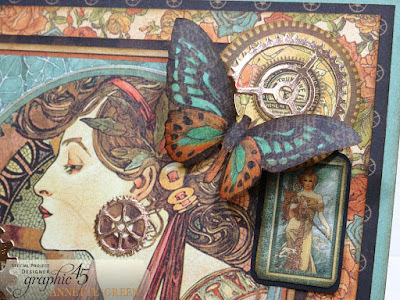 In between, I'll be offering more tutorials and kits via my Etsy Shop than in previous years. So lots of exciting changes coming! Soooo, how about a creative cruise with me in June, 2019? Make your plans now to join me as I'll be teaching Graphic 45 classes on the Anthem of the Seas out of New Jersey headed to beautiful Bermuda! All the details can be found here. My first cruise out of Tampa this year was a big hit with crafty cruising friends like these. We had a fun make-n-take project to kick things off, then two different classes shown below. 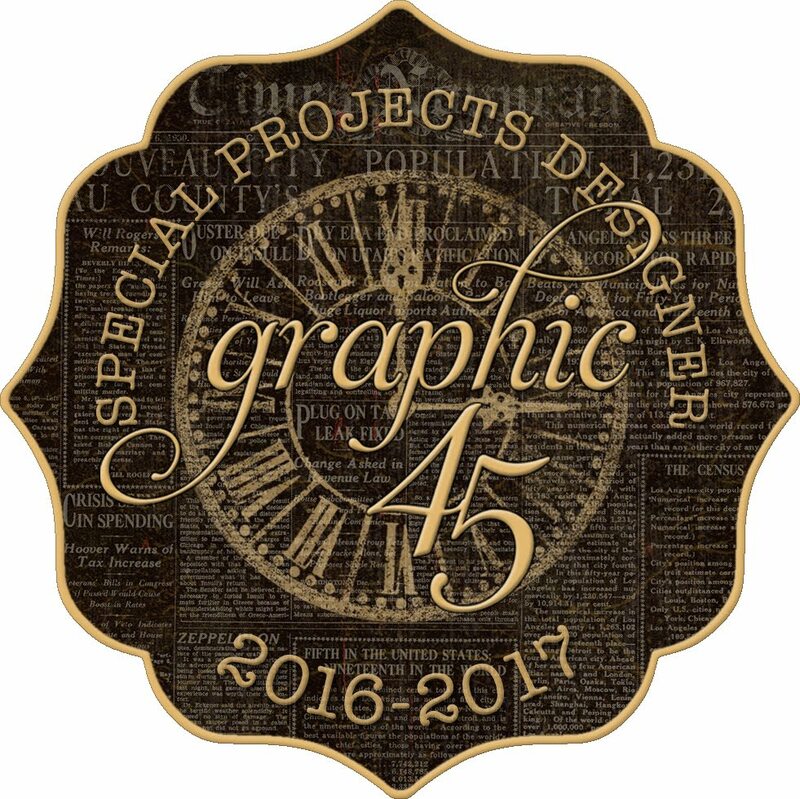 All projects are designed and created by yours truly and always with beautiful Graphic 45 collections. Step-by-step directions with photos are included, and I always have lots of exciting give-aways throughout the cruise with great Graphic 45 goodies! I'm excited to be working with Crafter's Therapy Cruises this time and can't wait to start designing the projects I'm going to teach with the newest Graphic 45 collections coming out. So, grab a girlfriend (or boyfriend, hubby, whomever) and reserve your space now. I promise you'll have a great time!